The Zim Modelling Industry will never be mentioned without the name of Kiki Divaris. She is one person who have gave life to the modelling sector,despite the obstacles she always made sure the sector survives. She will be forever be remembered. Mrs Vassiliki Babaletakis Divaris, better known as Kiki Divaris Prominent modelling guru and philanthropist, Mrs Vassiliki Babaletakis Divaris, better known as Kiki Divaris died peacefully in her sleep yesterday, 3 days after admission at Borrowdale Clinic Trauma Centre for pneumonia. 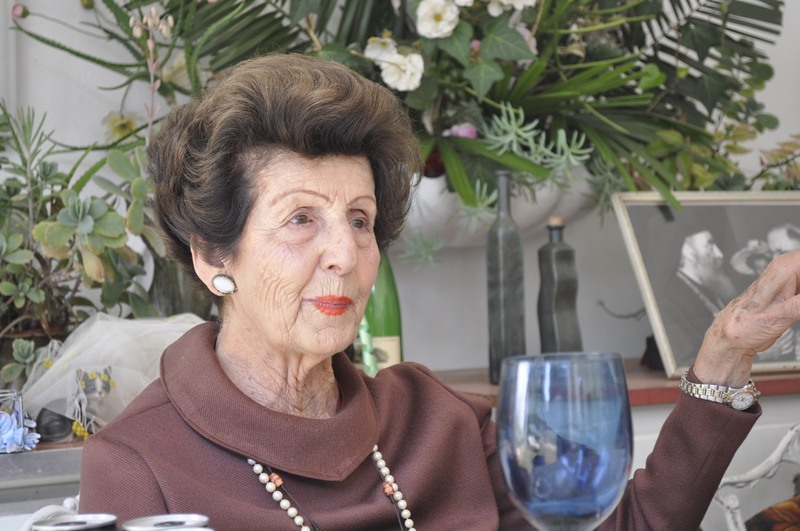 She became president of the Greek Hellenic Ladies’ Association, and worked closely with late First Lady Amai Sally Mugabe, before becoming chair of the Child Survival and Development Foundation, whose patron was President Mugabe. She was survived by two sons Sotirios and Dimitris, two grandchildren and two great grandchildren. Mourners are gathered at 68 Churchill Avenue, Alexandra Park, Harare.